Have you ever been told you have arthritis or degeneration, so you don’t move often? Have you heard, “If doing X, Y, Z hurts, stop doing it.”? There is a costly misconception you should stop moving if it hurts or if you have arthritis or degeneration. Let’s use “Susan” as an example. Susan is a working mother with back pain who sits at a desk most of the day. Susan has restless nights, not just because of the kids because her pain wakes her up at night. Typically, she wakes up with pain and stiffness but seems to get better as she gets moving. At times, she has pain while sitting and when she gets up out of her chair. At home, she avoids activities such as picking up her kids. She has weight loss goals but can’t manage them because she hurts when she works out, so she’s put her membership on hold, in fear of making the problem worse. As you could imagine, Susan is frustrated! Unfortunately, Susan tried chiropractic, physical therapy, core exercise training, yoga, stretching, and even considering to such lengths as injections and surgery based on an MRI, hoping something works. But her daily living continues to suffer. She has seen all the king’s men and horses, but she still has pain, leading to chronic pain and disability. Consequently, this creates a “thought virus.” She feels broken, skeptical there’s a solution. She feels she may just have to live with pain. Can you or someone you know relate to Susan’s story? If you have struggled with chronic pain — pain lasting greater than three months — it’s likely there’s a “neck up” or psychological component to your pain. No, it’s not all in your head! If someone like Susan has gone through the healthcare ringer with their pain continuing for months on end without an understanding of how their symptoms behave — what makes them better or worse — fear and disability may set in. Pain from a minor incident a few years ago can linger and become dominantly controlled by our fears, negative thoughts and emotions, which snowballs the original injury. So, what am I getting at — what does it mean to hurt when you move? If you have become fearful of your conditions and stop doing things you used to because someone told you to, you may be shooting yourself in the foot. Pain during a movement or activity does not mean you are fragile, breaking, making things worse, or harming yourself. Hurt does not equal harm! To keep ourselves moving and out of pain, we need to expose ourselves to activities which have become fearful or might be avoiding — this tells the brain (and yourself) you are not fragile! Chronic pain can resolve, and you CAN get better. All you need are the tools to help you manage it. 1. Track a few of your daily activities; write them down in a planner or notebook. You use these as tracking measures during recovery. 2. Get a baseline of your symptoms on a pain scale of 0-10: zero, happy as a clam; ten, the worst pain imaginable. Write it down. 3. Check your mobility. For example, if you have shoulder pain: raise your arm out in front, to the side, and touch the opposite shoulder behind the head. Is it stiff or smooth, painful or painless, and different from the other shoulder? Take note. Hurt when you move? Use the traffic light guide to know what your pain is telling you. · Pain is no worse within 24 hours after the activity. · If your pain is recent, a return to your normal mobility within 30 minutes to 2 hours. · If there was no change in the mobility, be confident that you can add more activity and keep doing what you are doing. Add 5% activity every day. · Remember some pain from 4-7/10 points is okay during movement. · Normal mobility is limited for about 48 hours. · If pain persists 2 to 24 hours in an acute situation, e.g., a crick in your neck, with no mobility loss, stay the course. · Continue with activity and self-manage with prescribed exercise(s), ice, meds, etc. · There is a Major change or loss (greater than 50%) in your normal activities, pain, and mobility. · A severe spike in pain (7 points or greater) during an activity, forcing you to stop. · STOP activities and notify your provider. Seek medical advice for care. On the continuum of pain and disability, many factors can impact your pain state. A thorough assessment by a professional should always take precedence over a few tips online to ensure there isn’t something needing further medical attention. The vast majority of nerve, muscle, and joint pain are mechanical — pain that changes with different movements postures and positions. 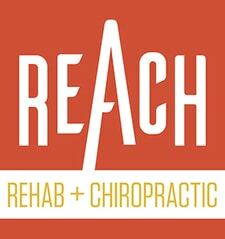 Mechanical problems can effectively and reliably resolve with the help of the REACH Docs, trained in Mechanical Diagnosis and Therapy (MDT).